If you want to achieve long-term sustainable growth, then you need a system. Having been an SEO consultant for several decades, I can tell you that the same is true if you want to drive high-quality traffic to your website consistently. Creating a consistent income stream is one thing, but leveraging that income to attain access to your dream life is another thing entirely. Joe Fier and Matt Wolfe are the Founders of Evergreen Profits. 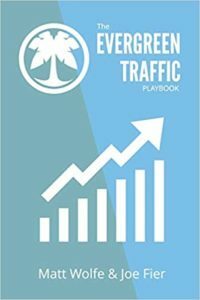 They are the authors of The Evergreen Traffic Playbook, which draws on interviews with hundreds of online marketing experts and dissects their strategies and tactics to provide a roadmap to evergreen traffic. 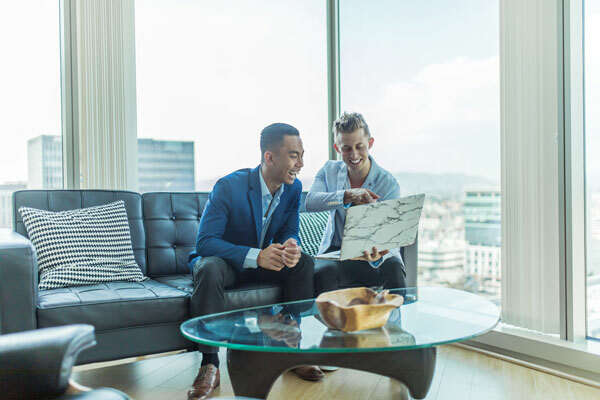 Joe and Matt not only advise their clients on growing their businesses, they also teach them how to create a balance in their lives and achieve more while working less. On this episode, we’ll not only be talking about systems and strategies for growth, we’ll also be considering how you can optimize your life to ensure you achieve all your goals no matter how ambitious they may be. Joe and Matt, it’s great to have you both on the show. Thanks for having us. We’re excited. How did you two get together? I don’t normally have two business partners on the show at the same time. This is unusual. I know you guys are two peas in a pod. Explain to our audience how you came together. What makes one plus one equals three with you? Several years ago, I started blogging at Matt’s family’s shutter company, Interior Shutters. We blogged on the side and started within the financial space and then had a health blog. We figured out how traffic works and how to get eyeballs to a property that we control. At the time, it was AdSense and Mega Bux with text link ads and all these different things on the blog. We loved experimenting. Throughout the years, we have done that and shared in the form of podcasts. We’ve done that for several years or so. My family had a shutter company, window-covering shutters. Joe and I had some mutual friends and we’d see each other at some parties and things like that. Joe was working at a shoe store and my mom, who also ran the company with the family business at the time, bumped into Joe at the shoe store and went, “You’re a good salesperson. You should come to work for our company.” She brought Joe over to the shutter company. Joe and I started talking about business and reading business books together and stuff like that. We started screwing around in the evenings when my parents weren’t looking and setting up stuff online to make side money. That’s how it all started. We’re experimenters at the core and we love to share it. It’s still true to this day. It’s constantly doing that, reinventing ourselves. It’s fun. We started the online business in ‘07. We quit the actual “day jobs” in 2009 and have been doing this ever since. You have a podcast called Hustle and Flowchart, which is a clever pun. What makes your podcasts unusual because there are many podcasts out there, drowned in information and pithy commentary and stuff. It’s so much and it’s time-consuming too. My favorite podcast, I oftentimes don’t get time to listen to which is frustrating. Our podcast inspirations aren’t in the business world. We listen to shows like The Joe Rogan Podcast and we listen to a lot of celebrity entertainment podcasts. 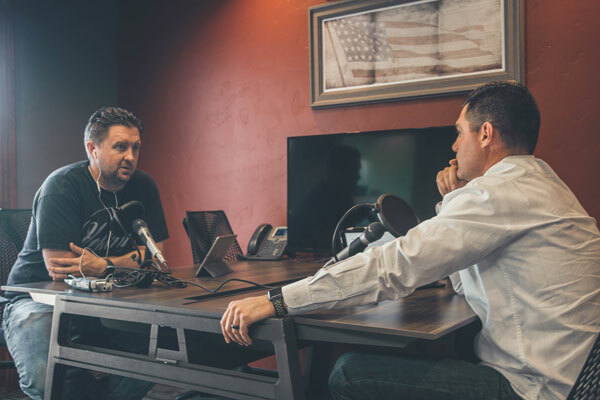 There are a lot of business podcasts out there that are interview style or have preset questions where they ask the guest the same question over and over again. We wanted to get in and have conversations with people. All of our podcast episodes are essential if me and Joe and our guest were sitting around at a bar having a beer, this is the conversation you’d get. It’s not an interview. It’s an anti-interview. It’s a discussion. You’re listening like a fly on the wall to a discussion we’re having. I know there are other podcasts out there that are like that, but people don’t think the same way Joe and I do. People don’t ask the same questions. People aren’t crazy goofballs who say stupid stuff in the middle of conversations. There are two of us too, which is different. It’s a completely different experience for listeners is they’re getting less of an interview and more of a fly on the wall between me and Joe who think totally different from each other and our guest. About the Hustle and Flowchart pun, that is a reflection of our personalities. I’m a lot more of the outgoing people, sales, high-level and let’s explain the why behind the stuff mindset. Matt is tactical, analytical, hence the flowchart. I’m more of the hustle. We always bring that dynamic to everything we do, especially the interviews. Tell the audience what it is about your system, your model or your framework that prints money. We always lead with content from the beginning as I was saying with the blogs. It’s controlling traffic. If you can harness that and segment that traffic and then direct that to what we will call an owned audience. It’s something like an email list or a chatbot or push notifications for browsers, anything that you can have that follow-up. That’s where this traffic system we have has developed over the years of us experimenting with stuff. We’ve combined multiple platforms into more or less a cohesive system that talks to each other. What makes what we teach about traffic unique from most other traffic courses, traffic resources out there is that most other courses are, “Here’s a course on Facebook Ads. Here’s what’s been our most effective strategy for Facebook Ads. Here’s a course on YouTube Ads or here’s a course on Google or here’s a course on SEO.” In our course, we try to say, “Here’s a traffic course. We’re going to show you how you can tie Facebook Ads, Google Ads, YouTube Ads, Twitter Ads, LinkedIn, SEO and all of it. How this all plays into a bigger traffic system together.” That’s the USP of the traffic stuff that we teach is we’re trying to teach you this all-encompassing traffic ecosystem that you can create. Let’s talk about this ecosystem. You rattled off a whole bunch of different traffic sources. Many of them are paid media and some are organic or unpaid, but they can all synergize with each other. You can do LinkedIn ads that also help you with a YouTube strip, for example. It’s not easy to pull that off because these different social platforms tend not to like each other. YouTube is the enemy to Facebook and LinkedIn, especially to Facebook. You post a YouTube video to Facebook and that guarantees it will get buried. What’s the magic here that helps a reader or somebody who wants to implement your system get the one plus one equals three synergies from it? This is where it’s a little unique. You can try to combine stuff, but you’ll be met with roadblocks like that. What we have chosen to do as our first touch input is to go strategic on Google search ads and we have a method to figure out which keywords are our prospects most searching for. We have this little feeder campaign that will run and it essentially starts broad, but then we start to figure out what are people searching for. What are they typing in? We can hone in on those real-time data points and we start off with broad content that stuff is going to these feeder campaigns. We can figure out what pieces of content we can be strategic with. From that point on, it’s mainly retargeting is happening on all these other platforms. Heavy usage of pixels and these owned audiences that allow you to do that follow-up and Google search ads. That’s going to help you with SEO because then you’ll uncover these search terms you can use to create content then around then that snowballs into some organic traffic. We lead with Google, whether it is SEO or Google Ads or sometimes YouTube Ads where when people do this search, it’s a buyer-intent search. We’re going to meet them with the content that solves their need and then we’re going to retarget them on these other platforms with offers. They’re going to start seeing our retargeting ads on Facebook because they’ve already raised their hand and said, “I need help with this.” We’re going to retarget them more on YouTube. We’re going to retarget them more on Google’s display network. We’re going to retarget them everywhere we can possibly retarget them because of this initial search they did that led them to our content that then pixeled them in. You can even retarget people on Google using Google search. You can do retargeting for Google search and have ads show up for people who have visited your website. That’s the big aha. I was talking to a big marketer that went through our system and he’s going through their targeting. I understand how that all works, but the wrinkle is when the aha moment came, “You can leverage search ads on Google in a strategic way to hone in on these keywords and then create content that’s extremely relevant to this proven buyer intent path.” As a first touch, you can’t get better than that. What are the steps to this system? We can give a broad level of overview. The training that we have, the actual course is something like eight hours or something long of all the steps, but it’s over the shoulder, “Watch me as I set this stuff up.” Essentially, what you’re going to do is you’re going to do some keyword research. We use a tool called Ahrefs.com. We use Ahrefs to do some preliminary keyword research to find these buyer-intent keywords. We do some research based on competitor websites that are in a similar niche and based on various blogs and content that already exists. We flush out some content using Ahrefs. Once we figure out two or three ideas of things we want to create content for, we’re going to go write articles on those topics and put them on our blog. Once those articles are written, we’re going to use the keywords that we find in Ahrefs to drive ad traffic to those pieces of content. We’re going to make sure we drop a retargeting pixel for Google, a retargeting pixel for Twitter, a retargeting pixel for Facebook. We create ads on all of those platforms that once somebody lands on that specific piece of content, they’re going to start seeing ads to the most relevant offer we have. The Ahrefs tool you’re using because it’s a toolset, there are a bunch of tools. I’m guessing one of the tools that you’re using instead of Ahrefs is the Content Gap tool. The Content Gap tool is a tool where you can plug in your URL and you can plug in a competitor’s URL and it will essentially tell you the content they’re ranking for that you’re not ranking for yet. That’s one way to do it. They have a Content Explorer tool where you can plug in a broad keyword and it’ll show you all of the most shared content based on that keyword. That’s another way to get ideas for content. You can type in your broad niche topic. Let’s say we’re promoting a landing page builder. We can go in there and plug in landing page builder and it will give us all ideas based on search volume of other keywords that we can go after that is similar. It’s a toolset and there are 1,000 different ways to use Ahrefs, but those are a handful of ways that we’ll go and flush out some keywords that we can initially go after. I’ll rattle off a handful of other keyword tools that I’m a fan of and use. Do you use SEMrush and their Keyword Tool, Keyword Magic Tool, Keyword Gap Tool or any of those? We have used SEMrush in the past. We found ourselves using it less and less once we got Ahrefs. We haven’t used it as much anymore. Ahrefs is the only resource that we use for our keyword research. I’m sure we’re missing out on some other keywords that Ahrefs won’t uncover for us, but it gives us enough to accomplish what we’re trying to do. The big thing with us is we’ll find ourselves to slip a little bit in our strategy if we go almost too deep too quickly. It’s going to be like the 80/20 Principle there. We figured out just enough to get that ball moving. Ahrefs usually sets us up nicely with that and then using this feeder campaign strategy. From there we could scale much deeper if something’s firing. Another tool is Moz Keyword Explorer. That one I like as well. I don’t think we’ve ever experimented with that one. What do you like about that one specifically? There are a bunch of things. It’s 95% accurate and the way they pull that off is they give a range that is not a huge range. It’s not like the Google Keyword Planner, which if you’re not paying money to Google Ads, you get these ridiculous ranges like 100,000 to one million, that’s completely useless. It might be 3,000 to 4,300 or something is a range and it’s 95% accurate. I like that. It gives me the ballpark and whether that ballpark is narrow or wide, I’d get a sense for it. There are these other metrics besides popularity that are cool. You get the difficulty score for that keyword which is helpful. If you’re just using Google Ads competitiveness as a proxy for SEO competitiveness, that’s not accurate. It’s too rough. I like the difficulty metric. I also see the opportunity metric, that’s what they used to call it. It’s the amount of screen real estate occupied by the organic results versus the SERP features. If there are a lot of ads, there are a lot of SERP features. It’s featured snippets, knowledge panel and all that stuff that competes with the organic results that are taking eyeballs away from the organic results that lower the opportunity of that keyword. There are different metrics. You can also scale or score your keywords, put them in to listen and say, “This one’s a three out of ten. This one’s a seven out of ten. This one’s a ten out of ten.” That importance gets fed into the final metric which takes into account all of the metrics. The volume, the difficulty, the competitiveness, the opportunity and percentage of screen real estate. All of those are baked into the final metric and then you can make some decisions about which keywords to target based on all that. We’re always looking at new tools like that. We’re big tool nerds. Whenever we find tools like that, we love to experiment with them. Neil Patel released some tool that’s free too, Ubersuggest. We haven’t tried that one yet either. I wouldn’t consider us SEO guys. We’re not the most knowledgeable people in the world of SEO. SEO is almost more of a byproduct of what we do because we lead with content. We try to create good and relevant content to the things people are searching for. By doing that as a byproduct, we start to see our stuff rank. You go to where the audience already is, which is a great strategy is. Part of our keyword research is running Google ads. We run Google ads with broad match keywords and broad match modifier keywords and things like that. We can go inside of our reports inside of Google Ads and see which search terms people have searched for that have caused our ad to be displayed and also get clicks. We’re digging into what keywords Google is fighting for us throughout the course of running these ads and the ones that are leading into conversions, we ramp up. The ones that aren’t super relevant to our search terms, we exclude those. There’s this constant optimization we’re doing on our Google Ads based on the data Google is constantly feeding us because we are doing broad match campaigns. I would be curious to understand what split testing you’re doing with your Google Ads because it’s a great opportunity to A/B split test different ad copy and different landing pages and different offers and different price points and so forth. See how that paid traffic reacts to all those different things. When it comes to split testing, we’re minimalistic. We split test our creatives constantly. We split out a new creative for every ad we’re running once a week. Every single Thursday, we have a team member who goes in there, looks at the best performing creative, turns off the worst performing creative and creates a new variation to try to beat the control. Every week, we’re getting in there creating new creatives in our Google Ads account. We’re not testing various landing pages. We’re not testing various pricing. It’s stuff that we could do, but to give a bigger picture of our business model, a lot of the income we generate is through affiliate revenue more so than selling our own courses. We’re doing this on a scale where we’re trying to promote a new affiliate product about once a month. We’re adding a new product into the mix about once a month. We’re not super focused on split testing a whole bunch of landing pages and pricing variables on any particular product because a lot of times we don’t even have that much control over those things. Our split testing is split testing the creatives, sometimes adding in new keywords and testing new keywords to see how well those do. We do have landing pages that we send them to before they go to the affiliate offer because we don’t directly link to affiliate offers so we can do some split tests. We use VWO to do some split tests on those landing pages, but it’s minimal. It’s almost like we have this ramped-up the process with everything we do where we’ll split test more aggressively more or less in the beginning, especially for an affiliate thing. We test angles for content as a first lead in. It’s always lead with value. It’s doing enough testing there to where we’re like, “This is looking good. We’re looking good with an ad budget. We can spend enough to get a profit at the end, even if it’s an affiliate product.” From that point then, we’ll start to build on that usually with more content and put more lines out there in the Google area in terms of keywords, more ads and then get a little trickier. We have some follow-ups and retargeting with Facebook. We do a lot of videos on there. That’s how we like to optimize the most is usually with some content and trust our follow-up process is where we see the biggest results. Let’s talk a bit more about that content. It’s like the engine for your growth. Are we talking long-form content like 3,000, 4,000-word blog posts? Are we talking primarily about videos? Are we talking viral stuff with memes and animated GIFs? What’s this content look like? How do you make it 10X content to use Rand Fishkin’s terminology? Rand is my co-author on the first two editions of The Art of SEO. Our biggest generator of content is our podcast. That’s not all of our content, but that’s definitely the one that’s most consistent. That’s twice a week. We’re usually bringing in an expert in that has some specialties. If it’s traffic, then that gives us a perfect opportunity to segment those people who land on that piece of content. We’re not tracking podcast plays, we can’t do that. When they land on our show notes page, we’re pixeling them. We have an opt-in that’s usually custom to that topic or that person. Either way, they’re going to get segmented. That’s where the magic happens after that point with follow-ups. That’s our overarching plan with the podcast. You’ve got the podcast based on what content they listen to. We can retarget them with the most relevant offers. As far as a lot of our Google-first promotions that we’re doing, the content we’re driving them there is either videos where we make a video, we upload it to YouTube, we embed it on a blog post. That’s what the ads are driving to. The Google Ad is driving to a blog post with an embedded YouTube video or we’re writing long-form content. I would say our average articles are 2,500 to 3,000 words. One of the examples was for somebody searching for the best landing page. An example of an article you might find from us is here’s a comparison of our top three landing pages. We break it down and by the end of that post, we try to funnel them into this one landing page is the ideal landing page for you so get this one software. There’s always a single call to action. If there’s going to be three landing pages that we review, by the end of that article there’s going to be one specific one you’re going to walk away wanting ideally. When it comes to the Google Ads that were driving traffic to, it’s those two forms of content videos on YouTube that are embedded on a landing page or mid to long-form content in 2,500 to 3,000 words. These are YouTube videos that you’ve created and uploaded? Yeah. Our bread and butter when it comes to affiliate promotions are promoting tools like SaaS software tools. We do a lot of YouTube videos that are walkthroughs or like, “Here’s a cool tactic you probably didn’t know you can do with this tool or some of these tools.” When new features come out, we’ll go and make a video that says, “Here are five new features that got rolled out into this tool.” It’s videos like that. Usually, it’s a case study or some applicable way they can put that in their marketing and we try to connect multiples together too. There’s a lot of cross-linking and cross-promoting happening. They’re all embedded in our courses as well. Our course is definitely a form of content. The retargeting, we do a lot of Facebook videos. We have this omnipresence. On Facebook, were being seen by someone who’s engaged with our content in the follow-ups there on Facebook with video. One point I want to make about YouTube is it’s a clever way to integrate Facebook and YouTube together even though they hate each other. If you wanted to post somebody else’s YouTube video, you don’t have control over it. You don’t have the legal rights to upload that as a native Facebook video. What you can do is you write the blog post, put the YouTube embed, but you’re doing it for your own YouTube videos, your walkthroughs. You write content around that and that’s your blog post. You can do that for anything. That doesn’t have to be your own YouTube video content. It could be somebody else’s. I found this great YouTube video. It was a ten-minute talk of Jonathan Fields. It was Jonathan Fields talking about how he had tinnitus ringing in the ears that drove him practically suicidal. Yet, it was this beautiful gift because he then used it as this gateway to mindfulness. Now, he’s this mindfulness guru and it wouldn’t have happened if he didn’t have tinnitus. He still has it, but it’s manageable not because it’s reduced in severity, but because of his mindfulness practice. It’s a powerful video. I didn’t have ownership of that video. I wanted to share it on Facebook and there was no Facebook equivalent of that video. It was a talk he gave at Inbound. I wrote a blog post. It was a Huffington Post article that I wrote. I posted it to Facebook and forgot about it for 24 hours. I didn’t even promote it or anything. I published it on the Huffington Post and didn’t even mention it on Facebook yet. Twenty-four hours later, I go and get ready to write something and promote that particular Huffington Post article and it already at 1,300 likes before I even did anything because it ended up getting promoted by the Huffington Post. It was cool. Having a podcast and trying to be involved with as many communities as you can is just this huge, amazing combination to create leaps in our careers. We had somebody on our podcast that had a similar concept to test the viability of a market essentially. What he would do is he’d go and create a quick opt-in page and lead pages or ClickFunnels or something and say, “Would you like to opt-in for my ten favorite pizza recipes?” He’d have this opt-in that would promise something. After they opted in, he would essentially redirect them to a landing page, the embedded and existing YouTube video that somebody else made. He would use other people’s content, put it behind an opt-in page and drive Facebook Ad traffic to it. That’s how he would test the viability of a product idea that he wanted to launch. He’d lead with somebody else’s content. If it worked, then he would go swap out that video with a video that he creates and then tack on additional funnel steps to it. That’s a somewhat related concept here. Imagine that you are going to write a book but you haven’t started it yet. You’re trying to figure out what title is going to work better or what cover is going to work better before you’ve even written the book. You put some Facebook Ads out there and you do split test campaigns to see which one performs better. On the landing page it’s, “Get on our waiting list or get some free bonuses by preordering or whatever.” The book’s not written yet and you want to know, “Should I go this direction or this direction? Should I go with this visual look or this other visual look or this title or this other title?” It’s clever. I love that idea and that might be something we’d swipe and test for our own content for these affiliate promotions of ours. We have a book coming out. We’re in the middle of writing a book about podcasting because that’s something we get asked about a lot. We’re in the middle of that. We don’t have a title for the book. We don’t have a cover for the book. We don’t have any of that stuff dialed in for the book yet. It’s a great way to go. I learned this from Bob Allen. He’s a New York Times bestselling author. He sold many millions of books. He advises to come up with the cover as one of the early steps in your process. You should have come up with a title and cover by now even before you had your first chapter finished. Do you know what his reasoning is behind that? Is it a big idea type of thing? It helps you focus. It’s like the lighthouse that keeps clear for you where you’re heading and what the outcome is. It also energizes you and motivates you because it’s much more tangible and real when you can see the actual cover. Does it feel like it’s pulling teeth to work on the book? Is it a joyful activity like, “I can’t wait to work on it now?” Are you spending an hour a day writing the book because you can’t help it? With the book, when I’m heads down and I’m writing it, it flows out of me. The problem is the procrastination that leads up to opening the page and typing out chapters. I love writing the book and it is flowing out. For whatever reason, I find myself procrastinating a lot to sit down and work on writing the book. That is totally normal. If you at least have a rough version of the cover with the title, hang that up on your wall as part of a vision board thing. I bet you will procrastinate less with the book. It’s a good idea because the last book we put out, it was the last thing we did. We did it completely out of order and we knew that it could have been better. It’s probably a good time to flip that on its head. Thanks for that. You’re welcome. If you want to listen to more of Bob Allen‘s genius, there’s an episode on Marketing Speak that is a must-listen if you’re into writing a book and getting it to bestseller status. In this obscure category in Amazon that nobody writes for, I am number one every week. Podcasting is the biggest thing we are bullish about because at the end of the day, we love to experiment and then share our results. Our podcast is usually our outlet for that, either with guests that we can dig in deeper on a selfish level. We’re the first to admit that too and they laughed. It’s an open book. We’ll dig in what’s interesting, but then we test a lot of stuff after that and then share that on future podcasts or in other pieces of content or in our courses. It goes everywhere. We never hold it tight to ourselves. That’s why we’re setting out to create training and a book and it’s this audience-building platform that even now is underutilized. It’s archaic in terms of marketing. There’s a lot of cool stuff we do that’s a little different than most podcasters ever think about in terms of the segmentation, retargeting, all of that stuff. We’re even paying for traffic to go to a podcast episode. That’s what we’re fascinated about. Ideally, we’ll open the eyes to more as this audience-building platform you can leverage. Let’s talk about a few strategies and tactics around this because I’ve learned a ton from doing this podcast and my other show, Get Yourself Optimized. I got two shows, Marketing Speak and Get Yourself Optimized. One distinction I’ve learned is through Mitch Russo. He was interviewing me for his show when he told me afterward this particular strategy of his. It’s a tactic but it’s cool. Instead of the typical show notes, he does long-form blog posts that incorporate the transcript plus some public domain or Creative Commons licensed images plus a bunch of click to tweets and other visual things to break up the text. It ends up being a long article because it might be a half-hour long interview. It’s thousands of words of copy. It doesn’t look like a transcript anymore with the formatting, the questions are in bold and the answers are in regular text. The way it’s done is clever and makes it almost like you sat down and wrote a blog post. He gets way more search traffic since he’s been doing it this way. Consequently, I’ve switched to doing this and I even had my team go back through my huge back catalog of hundreds of past episodes. Every single one of them across both of my shows are these long-form blog posts that are customized transcripts. What do you think about that? We love that. James Schramko does something similar on all of his episodes. Have you seen what he does over at SuperFastBusiness? I’m getting coaching from James. I’m part of his Silver Circle. We’re in the main membership forum. We’re not totally familiar with all the terms of the various levels, but we’re in the main member’s area. The high-level thing where you spend $3,000 a month, that’s Silver Circle. James is a good buddy of ours and he’s become podcasting brothers to us. Almost weekly he introduces someone else that needs to be on our show and us vice versa. We take a lot from him, him from us. I’m curious about your process. This is the biggest issue is transcripts and then that whole formatting. With our podcast, we have our show notes writer who goes and writes bullets. We try to have him write it almost like a copywriter would write a sales letter. He’s trying to persuade you to listen to that episode essentially. We have an opt-in on every single episode, which is what we call the episode companion. Those are his raw notes that he was taking when he was making the show notes. Somebody can go and opt-in, get the companion to the episode. Essentially, it’s the cliff notes of the episodes. If you don’t have time to listen to the whole episode or you haven’t tuned in or some people probably don’t even listen to the episodes at all, but they still want the content. 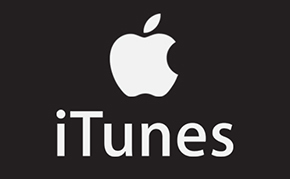 They can go to the episode page, opt-in and download our companion guide. The end result for us is still the same. We pixel them in so we know they’re interested in that topic. We’ve added them to our list and tagged them with interest. All of the same stuff happens if they were to listen to the episode happens if they were to opt-in for the companion. We don’t do transcripts on every single episode. We’ve dabbled. Some of our episodes do, some of them don’t. We haven’t figured out a good flow, a good system, a good process to consistently release transcripts for every episode. How much do you think it might cost to do a transcript for every episode? Almost all of the biggest leaps in our careers can be attributed to either somebody we’ve met as a result of podcasting or one of those communities or masterminds that we’ve purchased into. We’ve always used Rev. That was $1 per minute. Our episodes, on average, I’d say about an hour. That’s $60 an episode and we do two episodes a week. It would be about $120 a week if we use Rev. I’ve used Rev and it’s certainly the high-priced option. What I did is I switched from Rev to having a transcriptionist in the Philippines. She’s our dedicated transcriptionist, I found her on OnlineJobs.ph. We were paying less than half of what we would have paid on Rev. My episodes are about an hour each like yours. Instead of $60, I’d pay probably about $25. Mitch Russo told me about his process and he also told me the vendor that he uses to create these long-form blog posts and he doesn’t have to pay for the transcription separately. He doesn’t have to pay for the audio editing separately. It’s all part of the package. If you buy the package of 25 episodes, it goes down to $99 per episode including audio editing, the long form blog posts, the social images, the click to tweets and all of it. They handle it. Your mileage may vary, but that’s one option. That’s called Brandcasters. There’s another thing too that I wanted to mention and it relates to James and SuperFastBusiness and Silver Circle. There are amazing opportunities to become part of a community, a peer group where you’re getting value not only from the person who runs that group, in this case, James Schramko but also from the other community members. You’re a part of SuperFastBusiness. I’m part of Silver Circle. I’ve gotten some amazing synergies with other Silver Circle members. I don’t get a lot of exposure to SuperFastBusiness members yet. The more you pay, the more you pay attention, which is one concept that is valuable. If you get some free course or free membership or whatever, you don’t give it much time and attention unless you don’t get a result from it. When you spend more money in that group, because you’re at the upper echelon, the higher tier, you also get more visibility in the community. You get more visibility and access to the head honcho who runs the group or the community. What happened because I’m in Silver Circle, it’s not a given that this happens. If you have a lot of value to deliver, then you’re going to get noticed. That’s exactly what happened with James. He was impressed with my SEO knowledge. I do have a book that’s 994 pages, The Art of SEO. He’s like, “I want to have you on my podcast. I also want to have you speak at my conference.” Who knows if that would have ever happened if I wasn’t part of his community? Were you at Think Tank in San Diego years back? We shared that experience. I forget the investment in that specific mastermind. It was a two-day experience in Del Mar, California. I was probably a few years in, but I laid a lot of money to go out there and DK, David Klein, is one of my good friends still to this day. It was because of that event and the networking around there and the folks I partnered up with eventually throughout the years. Dan Ryan’s one of them, he’s an avid listener and still helps us out with a lot of the paid traffic stuff. He’s a good buddy of ours and he used to be our landlord. We paid him in beer as our landlord, but the perk of that is when we were learning how to do ads, he would stand over my shoulder and be like, “You’re doing it wrong. Do this instead.” That one event, I remember that being the catalyst for myself. Dan’s become a good friend, but also DK. There are many different guys I’ve partnered up with or worked with because of that one mastermind. At the time, I didn’t have a lot of money. I was starting out making these connections and it was amazing. Podcasts are also great too. I’m curious about the SEO stuff and that’s way more tactical, you’d probably understand a lot more of it. That’s the power of the podcast. Not only is it a great megaphone for your brand and we always compare that to Joe Rogan and Tim Ferriss. We bought tickets to Joe Rogan coming to San Diego. He sold out the arena within ten hours mainly on presale. He’s not even that funny of a standup comic, but he has such a large megaphone because of his podcast. That’s why we’re big proponents of that. It doesn’t matter how crowded the space might be, you have a unique voice. For us, we have two unique voices. It’s a double-headed dragon there. I had Roland on the show. At the end of it, he’s like, “Would you like to come to attend a mastermind? Would you like to come to War Room?” I didn’t end up joining it. It’s a good investment for certain people. It’s considered investment. It’s $25,000, not that I’m not going to spend $25,000. Clearly, if I spent $130,000 with Tony for a few years, I can afford $25,000. At the time, it wasn’t a fit. Maybe I should revisit that. Certainly, I’ve noticed a lot of War Room members are getting on the T&C stage regularly. That might change though now that they’ve sold the show. Digital Marketer sold Traffic & Conversion Summit in October 2018. They’re still in control is what he told us. They have content control maybe. They’re still the ones who are arranging the speakers and planning the tracks that are happening and all that stuff. The T&C experience from our understanding isn’t going to change. It’s going to get bigger. They’re moving to the Convention Center in 2020 so it’s going to get worldwide. It’s going to be the Comic-Con for internet marketers. To circle back around this whole concept of James Schramko, SuperFastBusiness, conferences, and the podcasting and all this, check this out. I have to give complete credit to James for this idea, but it’s powerful. You get private coaching with him as part of Silver Circle. It’s hugely valuable. He told me if I wanted to extract more value out of my podcast and get direct ROI from it, not indirect, start having case study episodes. Bring on clients and have them talk about what worked and where you generated the ROI for them and all this stuff. Make it a deep dive into the situation and your solution and the results and all that stuff. He cited his podcast with Taki Moore called Sales Marketing Profit. He didn’t even have the guest on to talk about the case study. They rift the two of them, Taki and James, back and forth about case studies of their clients without having the clients on the show. That worked out like gangbusters as well. That’s a great show. He’s like, “Can I take a sidebar and rave about how awesome you are?” I’m like, “Please do.” I’m thinking while he’s doing this like, “Testimony, keep going. I want two minutes.” I give 100% credit to James for that idea. That is gold. I’m recruiting more and more of my clients, especially the heady thought leader type of client to be on my show because it’s got to hit a high watermark in order to be on my show. I’m not going to take a lower level marketing manager or something. It’s got to be super high-level, thought leader-type person. Try this out. You’ll get cool results out of it. That’s a great concept and James might have done that with us without saying that because we have a series going with him where we’ll simulcast. He’ll put the same episode on his and we will in ours. It’s riffing back and forth of the coolest stuff we’re doing or clients of ours with the results. It works. That simulcast strategy is amazing. We got to give this proper attention to our audience because that’s money right there. I’ve done this myself too where I’ve had three different podcast episodes with Jay Abraham. Talk about the godfather of marketing. I interviewed him about the Parthenon and Preeminence and all his signature stuff. That was an episode. We did another episode that was on SEO and he was interviewing me. That’s amazing to get somebody who’s the godfather of marketing interviewing the podcaster, the host on the topic of your area of expertise. That was game-changing. The other interview was almost a spiritual existential exploration. One of the things we’re starting to do is we have a second podcast called Joe Fier and Matt Wolfe – Featured On. It’s a new concept that we’re experimenting with. What we’re doing is anytime we’re a guest on somebody else’s podcast, we have a second RSS feed that’s literally the interviews we’ve done on other people’s podcasts. We’ll grab the MP3 file from the person who hosted us and we’ll plug it into our feed. Anybody who listens to it, it updates your download stats, not ours, but we have the second feed. The author of that feed is the same author. When you go on iTunes and you look at people who listen to this also listen to this, they would see this featured on the podcast and see all the shows we’re a guest on. Bring in coaches into your business to help you through stuff and maintain your lifestyle. I’ll even go and talk about this clips concept we’re about to do, and you can do the same. We have a long form podcast about an hour long. Our show note writer, he does everything already. We said, “Why don’t you go and split out some of these long-form content into three to four chunks that are ten minutes long or so. He does a quick intro, it’s all clipped from the original and then that turns into another show. We now have a daily podcast as well and we don’t make any new content. We have the show notes writer go through, pull out little three, four-minute gold nuggets from the episodes, add an intro and that’s a daily show. A good tool for that is Descript. I don’t know if you’ve used that one where you can essentially edit it based off of the transcriptions. They can edit audio or video based off of their AI transcription that it generates for you. You don’t have to scrub through audio wondering where it was or time stamp while you’re editing. You basically read the transcription. If you go through the transcription and delete a word inside the transcription, it deletes that spoken audio on the actual audio file as well. That sounds similar to Otter.ai. It’s similar. I use that a little bit. Does Otter do the thing where you can go through and edit the words and the words affect the audio file? I don’t think it does that. When you click on a word in the transcript, it will start playing the audio and highlight word by word as it’s going through the audio, which is cool. Descript does that same thing, but it allows you to edit it. If you delete a word or delete a sentence, it edits the audio clip and deletes that word or deletes that sentence inside the audio. That’s behind the scenes and that’s a podcast that has not launched yet, but that is how we’re going to do it. It’s cool and totally hands off from us. That was the idea, to repurpose. The Featured On Podcast has launched. It doesn’t have a lot of exposure yet. The clips episode we haven’t launched yet. Our team members are working on the first handful of episodes. What is the next step for our audience to take that they can take some action and not have their head full of great ideas that don’t generate an ROI? One of our books and this is ironically the one with the cover we started at the end is called The Evergreen Traffic Playbook. That essentially will deep dive into what Matt was talking about this Google strategy of finding keywords, that’s all in there. In case I didn’t describe it well enough, our strategy of starting with Google and then retargeting everywhere and all the various tactical things we do for traffic. The book explains it a lot better than I probably explained it on the podcast. We have a podcast and we interview people all the time, the second half of the book is, “Here are all of our favorite traffic strategies from guests on our podcasts.” It’s a two-part book. 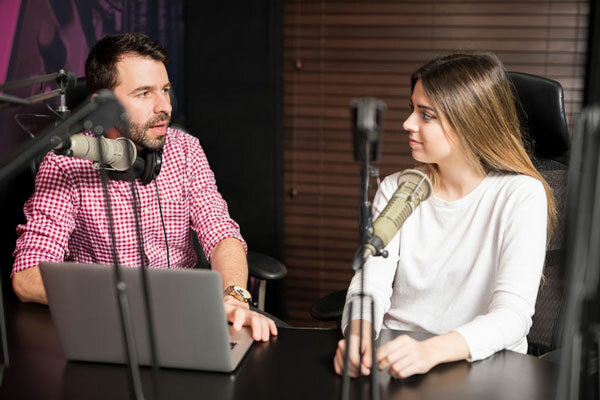 It’s our traffic strategy that we use every day that we map out for you and the second half is, “Here’s a whole bunch of guest experts we’ve had on the show and here’s their traffic strategy.” It’s got the combo of those two things in it. That’s available at EvergreenProfits.com/Speak. It’s a free book. You’ll get access to that at the website. That’s one thing most people don’t do is having custom links to episodes. That’s a missed opportunity if you don’t do that. You have an opt-in and now you’ve got their email address. Now, you’re building your list. If somebody goes to EvergreenProfits.com/Speak, it essentially redirects them to our opt-in page, but that EvergreenProfits.com/Speak has all of our UTM codes embedded in it. I can go to Google Analytics and see how effective all the various podcasts we’ve been on and track sales from the podcast we’ve been on and do all those stuff. Nobody seems to do that when they go on podcasts. What’s been the most lucrative podcast you’ve ever been on? James is a couple of times and that’s been effective. We were on Profit First with Mike Michalowicz, that one was good. I would say those are the top two and Joel Erway’s podcast, Sold With Webinars. Those are the top three there. Profit First is a great book too, I’ve heard. Profit First and Clockwork’s another good one I recommend from him that’s more systemizing your business. The Funnel Hacker Radio, ClickFunnels we’re on there. It did well as well. We try to hop on other podcasts quite a bit because it’s the same thing. There are all of these cool people and cool topics out there. It’s fun to share. It’s discussions like this. This discussion to me was super fun. I’ve got a yellow notepad in front of me where I’ve been taking notes on an episode that we were being interviewed on. One other thing I’ll add is a little tip you can implement. You may have already, but every show I either attend or speak at, I attribute the ROI, the revenue I got from each of those events. I don’t do the work myself. I have my bookkeeper do it. She’s asking me, “You got a new client. Where did that client come from?” If I don’t know off hand, I’m going to find it out fast because we got to attribute it to the right show or the right marketing weapon. We can go back over time and say, “Traffic & Conversion Summit, even though I haven’t spoken at it, was one of the top revenue-generating events I have attended or that I’ve been to.” You show up at conferences over and over again and you don’t know what the ROI is, it’s frustrating for one and you’re wasting a lot of your money and your time unnecessarily. There are some simple tracking methods you can do to get that ROI and track it back. If somebody wanted to work with you directly, do you offer coaching, consulting or any done-for-you type options? At the moment, we don’t. It’s something we’ve tossed around. We do our podcast, which is the free way to listen to us. We’ve got our Traffic book, which is another free way. You can also buy the print version if you’d like. We’ve got a handful of courses that we sell. We’ve done coaching and consulting in the past. We phased it out because we liked the lifestyle business where we’re not getting on calls with people as much. It’s something we’ve tossed around the idea of bringing coaches into our business that we can still maintain the lifestyle business, but have other coaches help you through stuff. Something we’re thinking about adding in the future, but at the moment it’s our books, our podcast, and our courses. I can relate. I’m a little bit of that hamster wheel because I do offer to consult, but I’m selective about who I take on. It’s more of a boutique situation and I don’t feel I’m overly booked. It’s a different ball game. You can’t scale that effectively. You have to scale it with people and that’s expensive and painful. Do you have a particular social account that you want to drive folks to follow you on Twitter, Facebook, and Instagram? Instagram is probably the best, if you go to Instagram.com/EvergreenProfits. We’re active on Instagram among all the social media. You’ll see connections to the podcast there and courses. About the coaching, consulting concept, we modeled James Schramko. If somebody buys our traffic course, we have a whole forum community in there where Joe and I check in every day and answer people’s questions and things like that. If somebody did want to get personal one-on-one or one-on-two feedback from us when you get our courses, we do have that community element as well. I’m working on implementing more of James’ model in my business too. I do have six online courses and I have a membership site I’m in the process of retooling because it’s been unprofitable for me. Technically, I still have it and it’s amazing. It’s great content in there. I definitely need to retool it, but James has a whole group coaching membership model that works well and he’s got a whole training on how to do it and how to replicate what he has done. This was a fun episode. We definitely had the synergy going there. Readers, take some action. Go check out the book. 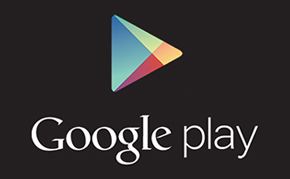 Don’t just download it and keep it in your downloads folder. Open it and read it and follow The Hustle and Flowchart podcast too. That’s another great show to add to your list. Thank you. We’ll catch you on the next episode. ☑ Research on how I can leverage search ads on Google in a strategic way to hone in on keywords. This will help me to create more relevant content. ☑ Learn how to use the Content Gap and the Content Explorer tools so I will know the content my competitor is ranking for that I’m not ranking for yet as well as all of the most shared content based on broad keywords. This is one way of getting ideas for content. ☑ Perform split tests constantly in order to see how paid traffic reacts to different things such as landing pages, offers, price points, and so forth. ☑ Create videos and promote tools like SaaS software tools. They can become bread and butter when it comes to affiliate promotions. ☑ Come up with a cover in the early steps of my writing process, realizing that it helps me focus and get clear on where I’m heading. Seeing the actual cover will also energize and motivate me. ☑ Create an audience-building platform that gets more search traffic by doing long-form blog posts that incorporates the transcript, images, tweets, and other visual things to break up the text. ☑ Take advantage of Brandcasters’ podcast service package. 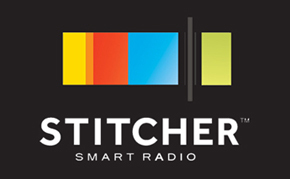 For only $99 per episode, they handle everything from transcription and audio editing to long-form blog posts, social images, and links to tweets. ☑ Extract more value out of my podcast and get direct ROI from it by having case study episodes and bringing in clients to examine what worked and where you generated the ROI. ☑ Read Joe and Matt’s book, The Evergreen Traffic Playbook, by going to EvergreenProfits.com/Speak. The book draws on interviews with online marketing experts that provide strategies and tactics on how to build evergreen traffic. 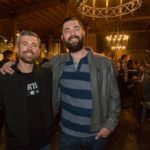 ☑ Follow Joe and Matt on Instagram at Instagram.com/EvergreenProfits to learn more about how to create evergreen traffic and to connect with them. 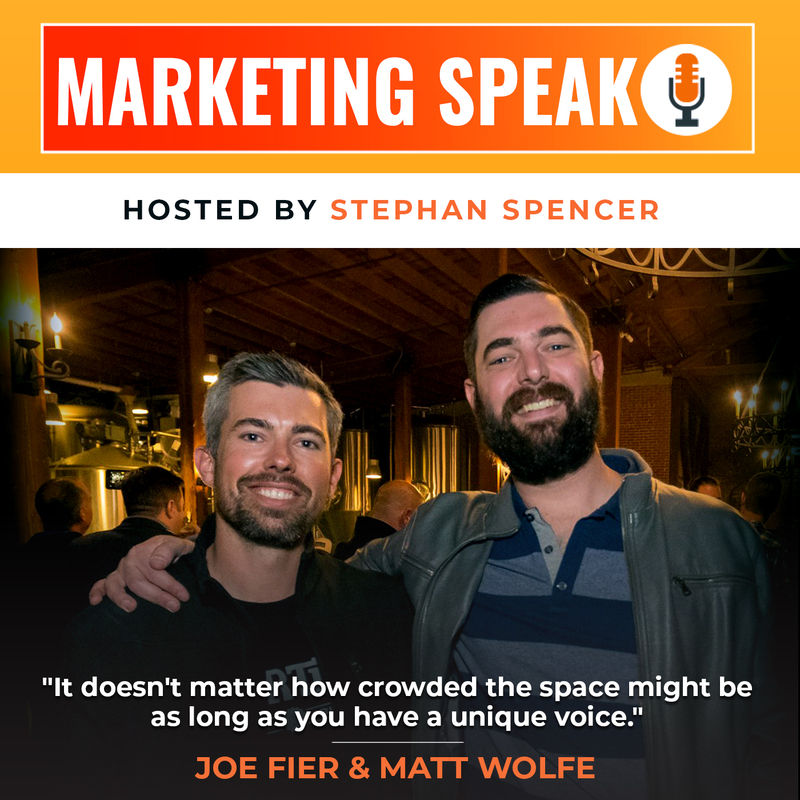 Joe Fier & Matt Wolfe are the co-founders of Evergreen Profits and absolutely LOVE showing people how simple it really is to get seen online in competitive industries. They also host a fun digital marketing podcast called the Hustle & Flowchart Podcast.